Today’s list was actually inspired by a reader request along similar lines. How is the average Amish woman different from her non-Amish counterpart? This list shouldn’t be read as a critique. As I note below, these differences may be made possible in large part thanks to Amish culture and community. And of course, I’m necessarily generalizing here–both about “modern” women, and the Amish. Well now that I’ve gotten the caveats out of the way, on to the list! This is not to say Amish women don’t have occupations or don’t work hard. Many run businesses and make sizable contributions to the family’s bottom line. But the idea of career doesn’t supersede the family with Amish women. Though some Amish women may be having fewer children, the norm is still early marriage and starting families soon afterwards. Financial needs must be met, but family time is more important than personal career goals. Some run businesses, but they typically are based around the home. 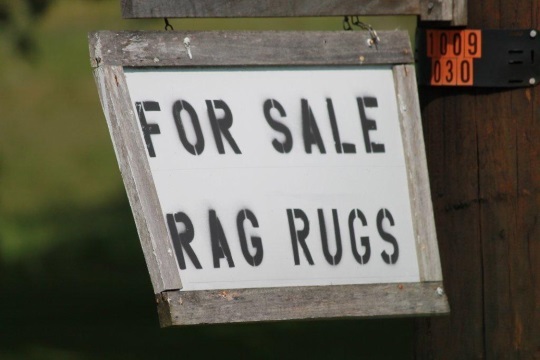 For women, this might mean part-time sewing work, a roadside stand, or a small store. But not a job that takes them away from the home for extended stretches of time (especially when children are young). This isn’t to say that physical beauty is ignored–obviously that is a natural part of human attraction. But hairdressers and makeup are not a part of Amish women’s lives (with the notable exception of some Rumspringa-age females). Amish stress the importance of internal virtues over external beauty (this goes for the men as well). And in some, particularly “lower” (ie, plainer) Amish communities, beauty may be even more de-emphasized than in others. I sometimes hear young non-Amish girls get praised for looking beautiful in a new dress, or whatever it might be. You don’t hear the same thing among the Amish. Modern culture simply places a greater value on physical beauty. What do I mean? First, to take the most obvious, family size. The fertility rate of Amish women is much closer to American women of 1800 (around 7 children) than today (below 2). This reflects many things, including religious and cultural beliefs in Amish society, as well as shifting mores regarding marriage in non-Amish society, along with delaying the start of families. Large families are also more feasible thanks to the way Amish live–bolstered by strong community and familial support. They’re made more realistic by their setting in rural areas where space is not at the same premium it is in urban areas. Also, it’s probably safe to say that the style of parenting of Amish today is more like that of generations ago. A rural life in a large family with less individual adult supervision inevitably means more bumps and bruises. In other words, Amish children don’t wear helmets and kneepads at playtime. Some might feel this is closer to what a “real” childhood should be, but may also mean greater exposure to dangers. Amish believe in the idea of the husband being the head of the family. This is something Amish women, raised in the culture, accept. This shouldn’t be read to mean they are subservient. Not that there aren’t unhealthy marital relationships among the Amish, as there surely are. The Amish couples I know feel more like a partnership, than a relationship where one party dominates the other. This is in part by necessity, as there is a lot to manage in an Amish household, from children to food to visitors to farm work. Amish women have a lot of influence and even run much of the show, so to speak. But, the husband is at least outwardly the head of the family, his wife his “helpmeet” as described in the book of Genesis. By “home arts” I mean things like sewing, gardening, baking, canning, and other traditional domestic practices. Certainly, these activities are still common with some modern women (and I suspect a number of our readers). But not to the degree that is prevalent among the Amish, where these are standard and expected skills a woman should have. Not every Amish woman today makes all her family’s clothes or cooks all their food. But these practices remain strong in Amish culture and continue to be taught and carried on from one generation to the next. What do you think? Do you agree with these ideas? What else could go on the list? I praise and applaud Amish women! 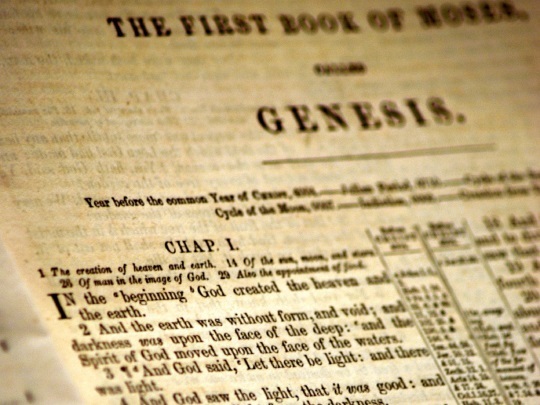 It’s refreshing to at least know there are still out there women who choose to live biblically! America as a whole could take a lesson from the Amish people! Love from The Father to you all! About a month ago some of my family and a friend drove from Virginia to Lancaster, PA where we saw and talked to Amish people. We were so very impressed with the way that they live. I used to be Amish and would like to commend you for your realistic presentation of what the Amish really are. Too often we are portrayed as if we were simply dull or ignorant of the world. While we do not participate in the things of this world, we are still aware that the world exists and much of our lives (esp. those of us in the larger communities, i.e., Holmes County, Lancaster County, and the Indiana communities) are constantly in touch with the tech of this world. It’s not uncommon for an Amish teen or tween to have an I-phone X. At the same time, there are in the background of the major Amish communities, many conservative Amish who are not embracing any kind of tech beyond “old-fashioned” telephones. Excellent points!! You nailed it. Thanks latelyamish, appreciate your comments. Good morning, Amish America community. As one who doesn’t excel in the home arts, I admire any woman who does excel. I burn my hand on the iron if I just look at it. lol I’m looking forward to reading others’ comments. I can do some tasks at home. Years ago I could iron, but I now have handicaps that prevent me from doing that as well as other things. 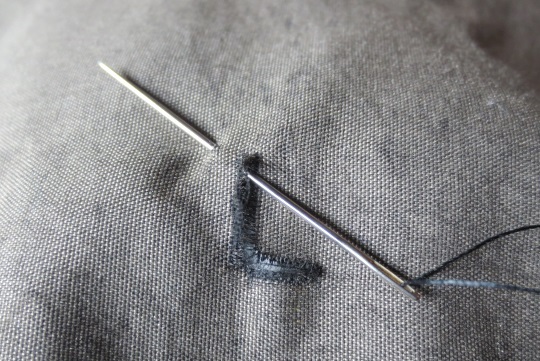 I never got the hang of sewing. I love to cook thou. I do prefer natural healing to pumping my body with all those chemicals….. there are times that we do have to take medicine. Being a “modern English” woman, I often look to the Amish on parenting beliefs. We are of a denomination that believes women should be at home if at all possible, the husband is the head of the household, but that doesn’t mean he is “lord”. My relationship with my husband is very similar to what you described in your article. Yes, he has the final say but we discuss everything and I offer my thoughts and opinions and those are taken into consideration when he is making a decision. I do work, although neither of us will take a job that keeps us from home overnight or where we have to work weekends. I am an educator, so when my son is out of school, I am also. I do practice some of the home arts, but I have no where near the skill the Amish have. Although no lifestyle is perfect, I do admire the Amish for their strong faith, belief in a traditional family unit, and their commitment to community cohesiveness. I have an Amish friend who is everything you wrote. She has a beauty in her heart that first exemplify the Lord. It shines thru her eyes from her soul. She has a natural beauty. Her face is tan from hard work in the garden. She has 9 children who all work together as a family unit. Her husband takes some of the children with him to the flea market. They are a beautiful example of God in this ever disturbing fall of values. And we continually pray for one another. I live in a different state now so only after November when most crops are done do we really get to write back and forth. She never has idle hands. There is a lost art to letter writing in our computer world. I agree with the family being a priority. That is the way I raised my children. I am now disabled and cannot get any benefits from the government/ county/state and my grown children are condeming me for putting them first rather then having a career and earning and saving a lot of money. But I still say that I did right. I live a very different life to the average Amish woman but I do relate to some of the points listed. I am relatively skilled in “domestic arts”, I cook, I clean, I mend things, I pick berries and can and many more things. I am not concerned with beauty and spend very little time working on my appearance and I am often surprised when people comment on my beauty. I prioritize my family but for many years I have had to prioritize them by working a lot as I have had a job and not my husband. We will see where the future leads us but I do hope for a better work-home balance soon. I have no strong wish to be a housewife and I do not think this is the only option for a holy marriage. I also do not believe the man needs to be the head of the family and I think that god’s intention was partnership not headship but to couples where the man being the head works I see no need to change this, a working system is a working system. Not all women are born on farms with men available and eager to provide. As an adult I had to pay my bills as a female. In relationships, it is rare for men to expect to provide as well. In fact, it can be abusive in some senses when men use money as leverage. What I think amish people might not understand is many people would love to live simply on a farm, but people have to actually work jobs to survive, even women! What great insight to the Amish women and their way of life! I work outside the home but still manage to live simple. I can tons of food from our garden and we live on a farm. We raise our own eggs and grow the majority of our food! My husband also works, however we still have cattle. I hang my clothes out and I admire the Amish women and their way of living. I have 3 grown children myself, but I still love to give them canned goods to eat and take back to their city lives! !I have a business in which I sell had quilted quilts and other hand stitched items. I never have idle hands and I am a Christian!! So, even though I can’t be Amish I can sure take the traits and way of life they have and fit it to my modern day living! Ok, the title of this is a little juvenile but when life gets rough and push comes to shove many of us would like to go back to our moms. Having said that, I wonder how the Amish feel about their moms. Of course there is a love for her, but the reverance for the mother in the Amish world does not seem to be the same as it is for the English mom. Not saying that what the Amish do is wrong, but Mom’s seem to be celibrated more with the English. 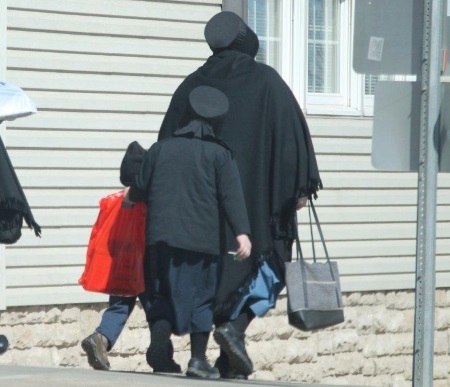 Many Amish Mothers are the leaders in their family for almost everything that has to be done, making the money, having/raising the children, running a large household while the Father is more of a figure head. Mothers make the food, serve the food, and do the dishes. In my eyes most women deserve more praise than what they get. Tom, I think we all learn to appreciate our Mothers more the older we get. I love and respect my Mother. I’m not quite sure where you coming from about reverence for the Mother. But here’s an observation I’ve made from working in public. Amish young folks,teenagers seem to have more respect for their Moms then what many non-Amish young folks/teens seem to. I agree that some English children to do not show the proper respect for their mothers at least sometimes in public and that the older we get, the more we love and respect what are parents did for us. As for “Reverence” (caught my spelling error) of mothers, I can’t seem to explain it well now, so I will ponder. Hey Tom. While catching up on my AA articles your comment caught my attention: “…but Mom’s seem to be celibrated more with the English.” An interesting lot we Englishers are — we will ‘celebrate’ most anything. On a recent trip that took me through Seattle I heard (fortunately, didn’t see) they blocked off part of the city to celebrate the summer solstice with a parade. But I have to wonder if in all the noise and excess of “celebrating,” was there a single parader that really had even a remote sense of appreciation for the solstice — or even know what it is, for that matter. The wise man of old (Proverbs 31) tells us that (in general) the godly woman will (in time) have family that rises up and expresses appreciation. At least to me, there is a *huge* difference between quick flash-bang of most of today’s “celebration” of mothers, and the true deep appreciation that comes with the eventual realization of what a mother really is and does. Like the Fourth-of-July fireworks that is gone, forgotten and meaningless on the fifth of July, those flash-in-the-pan “celebrations” aren’t the kind of appreciation that proper motherhood deserves(IMO). My Mother would often tell us growing up that helping her, and obeying were much better than gifts. This was like after we’d give her a small homemade card and say,” I wish I had something better to give you.” She would thank us profusely and say, “Being a cheerful helper and obedience is much better than big gifts.” Looking back now I see what valuable lessons she taught us, still does. At the time I thought, “She’s just trying to make us feel better.” But now I know that was actually most important. Once for her birthday we made coupons for her, such as “I’ll do dishes” “I’ll make supper” “I’ll pick up toys” etc. That was a treasured gift for her. I think she still has the little cards. It’s been suggested, I forget where and by who, that experiences are better gifts than material objects are. This website gives the impression that the Amish usually wouldn’t travel to have experiences (too touristy and worldly? ), so I’m guessing your mother’s response is an Amish version of that idea. It’s definitely true that experiences and quality time are much more important than expensive gifts. But on another subject : The Amish definitely do travel ! I admire much if not most of the Amish lifestyle. I believe we have lost much by our modern English way of life. I grew up with my mother being home and my father going to work until I was about 12. She made some of my sister’s and my clothes, worked in the garden, hung the wash outside on the line, and canned in the fall. She was there when we got home from school and looking back it was comforting to know she was available for any of our needs. We always ate together too. I don’t admire today’s family who are only together when they sleep. They lose by not so spending time together as a family without an anchor. My mother…I miss her and I am glad the Amish still live like they do. A good read Erik. I suppose one could add they don’t like to be photographed. I also like that both husbands and wives spent many hours with their kids, that’s why the kids are well behaved. Unfortunately, in the “English” society, that is not so. I admire the Amish lifestyle and both men and women work hard. I hope the Amish continue to live the way they do now. Is this another language ? Or spam slipped through ? What’s it supposed to mean in plain English ? Yes, that was spam that slipped through. Just deleted it. 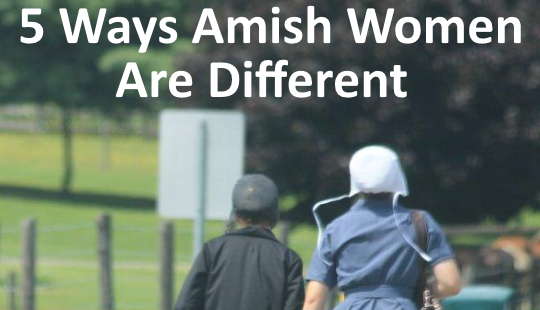 Lovely article, now could you do a 5 Ways Amish Men Differ From Non-Amish Men article? I know/assume there is a lot of stereotype about manhood in the Amish ‘world’ that is probably in need of correction..
also it would be fair to do one. I am actually one of the regulars, using a library computer, and didn’t want to use that name here in my location, not that anyone cares here, but I didn’t want to go through the effort of cut and pasting it all into a public library computer. I was raised in Dover, De and lived in the country surrounded by The Amish. I recently spent a weekend in Berlin, OH. I was amazed the day I was riding through the community by all the Women doing the yard work! Mowing, weed eating, etc. I did not see one husband doing this chore. It seems this was a norm and they are expected to do this along with all the indoor chores. ( Cleaning, cooking,baking,washing,sewing/mending and caring for children. I was also amazed at the Amish families who were eating out at the restraunts we went to! The children were obedient and sat quietly! There is something to say about having quality family time and well behaved children! I wonder if they live by the rule… Spare the rod spoil the children! Then you should be driving down our road. 🙂 I’m leaving work very soon and plan to do my usual yard work this evening. I don’t often mow the lawn, but I do the weed-eating around the yard to allow the mower to stay away from edges and I trim the banks, fence-row that comes to the yard edge, etc. and I do the edges of the flowerbeds, weed them, and take care of the feeding & dead-heading. I’m not doubting what you saw at all, but hit the right home at the right time you’ll find me or other men I know working in the yard. It is also part to do with men working away — I’m not home during the day to do that, so if I do yard work it is in the evening but the ladies of the home prefer to do theirs earlier in the day depending on schedule. A side note is something we were talking about at work the other day — at our home it’s dad who washes buggies but in some homes it’s mom — interesting how each family ends up deciding who does what. Well said, Mark. I was thinking that, too that probably if she would have been driving through on a week day evening there would likely have been more men out. I also know many men who do yardwork, especially when the children are small. Once they get old enough to help and especially if the family might have girls first, then the Mom and her daughters would do the yard work. That’s how it is in our family anyway. Once we girls got old enough to handle bigger jobs- we did them, because Dad had a bad back and my only bro was a bit younger. We even hauled manure and helped make wood many times. I’d still rather do outside work, than housework anytime. By the way we girls or Mom wash the buggies, too. My brother does the heavier jobs now, such as hauling manure, mowing fencerows, weed-eating in the field (the girls do the trimming), etc. I guess Im more Amish than I thought.. Your differences just described me from city folk..especially when I was a young married woman and when I started my family. As I’ve said before.. I dont believe the Amish are much different than many country folks.. They just look like it on the outside for the most part. Me too! I was thinking the same thing! After reading the recent, and quite abhorrent, articles about Planned Parenthood selling the body parts of aborted infants… I’m inclined to celebrate the fact that Amish women are unlikely to be pro-choice! Many of the characteristics listed here were exhibited by my grandmother and her sisters, who immigrated to the U.S. from Greece in the 1920s. They were tough old ladies. They did indeed defer to their husbands–at least publicly. But the family was very much a matriarchy. The five sisters followed each other from the Bronx, to Manhattan, to Brooklyn, and finally to NJ, families in tow. Generations later, their descendants are still in regular communication. The same cannot be said for the families of my grandmother’s brothers, who disappeared into the miasma of America. It didn’t take many generations for many of the old customs to fade. A lot of their knowledge and know-how has been lost in today’s fast pace. It’s unfortunate. They were very talented people. We still use their recipes, and their needlework still decorates our homes. 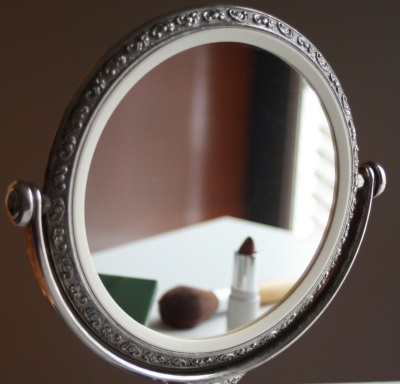 The praise for looking beautiful thing… I never thought of it before, but what a meaningless compliment it is! Why should I be praised for something that I had no hand in creating? You know, it’s burdensome, too, because you (I) learned to look forward to the praise, to aim for it, to expect it, and even to miss it when the compliment is not proffered. And all the while, it’s not really worth anything. My boyfriend and I had dinner with an Amish couple last year. It was just us and them, which was an unusual fluke as they usually hosted groups. I watched the interaction between the husband and wife quite closely. She took the lead on the dinner, and he took the lead on the conversation. But he was attentive to her, and jumped in to help her now and then. There were a few charming occasions where he missed his cue on something: She’d give him a quick little chastisement; really just a sharp whisper of his name. But she meant business. Maybe its nothing, but I saw the posts about the gibberish spam (but never actually saw the actual post in question) before I posted my comment using the name I made up for use at the public library, yet for some reason my reply under that name appears where I suppose the spammer put up their post. This seems odd because I did not click on reply to comment at all (which would have put my reply out of order, as is done when you reply to comment), and as I said, I saw the initial comments about the spammer before I replied. The Amish women know how to be feminine and discreet in their character. I like how they talk soft and are gentle & quiet in their manner. I feel sad for todays modern younger women, they are loud and brash and act like men. its very off putting. Julie, what you said holds true for many many Amish women, but in my travels the last few years I could point out several Amish women that were louder than most guys. In some cases it seems like their husbands were the quiet shy type. Many of these had a type A personality. Hi Tom, Thanks for letting me know about those Amish women. I always think of the Amish as very quiet in their personality. I appreciate your imput. Thanks again. True Tom, You’ve got all types out there. Many the reprimands I got from my Mom on being to loud growing up. I’m naturally talkative, but thanks to her I’ve also learned when to use reserve and be careful of others feelings. The Amish Women’s ways are a breath of fresh of air! Well, I certainly like the idea that they are mothering like women did in the past. However, it has not been centuries, as you say, since women mothered in that way. My own mother was 17 when she married and 18 when I was born. We were raised in a very rural area and while my mother worked outside our home, we were raised with much the same belief system of 1800. The thing I wish to know however is why you feel you must tread lightly. Are you afraid? If so, of what? Women? Others (including men) attacking you for your possible beliefs. And if they do then so what? Are you not a man? Are you not able to take their disagreements or even their criticisms. Surely, you are not afraid of women? I titled that one “centuries” rather than “generations” or “decades” because the statistics for birthrates two centuries ago were more aligned with the Amish today hence the word was suitable (and actually more dramatic than the other two). But I think you’re right that the bit about bumps and bruises is much more recent. buy our quilts , they want Amish ones . My Amish friend we make mouse pot holders she can sell hers all day long , I can not sell mine we make them the same way ??????? ?